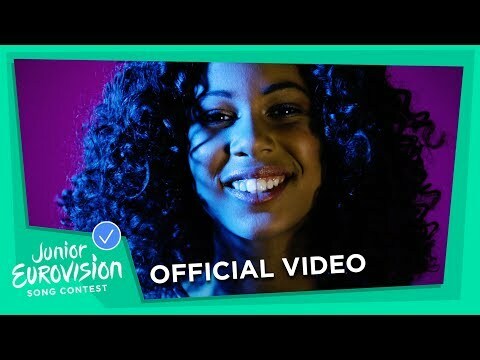 The ABC and Blink TV are thrilled to announce that Jael will sing Champion at this year’s Junior Eurovision Song Contest. Champion is an uplifting pop-power anthem that delivers an empowering message – that there’s a bold and brave champion inside of us all! Held on Sunday 25th November at the Minsk Arena, Belarus, ABC ME will broadcast to Australia all the incredible performances of the 16th JESC competition during a very special family television event on Monday 26th November at 6pm. Hailing from Melbourne Victoria, 12-year-old Jael is the singing superstar chosen to represent Australia at JESC 2018. She began singing and wrote her first song at the age of four, and by the time she was nine she was already recording in her dad’s studio. Interested in a wide range of music genres, including pop, hip-hop, contemporary and gospel music – Jael won the top award at the Fast Track Talent Showcase for three years running, and aims to inspire others through her positive uplifting music and attitude. “I am so happy to be representing Australia at the Junior Eurovision Song Contest. This is a dream come true for me and something I could never have imagined. I am so excited and can’t wait to represent Australia and make my family and the country proud!” said Jael. Redefining what it means to be a champion, this inspirational song celebrates those who stand up for what they believe in, overcoming adversity, are a great friend, are true to themselves, and have the courage to speak their truth. One of the song’s lyrics ‘shining your light’ is also a nod to this year’s theme – Light Up! The song was composed and written by Michael Paynter, Michael Delorenzis and Grace Laing from MSquared Productions. 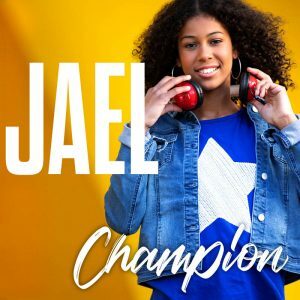 Jael is represented by ABC Music, and Champion is released worldwide today on all major digital music services. ABC ME invited a group of young champions to join Jael in her music video. The music video for Champion was produced by Blink TV and filmed at ABC Southbank and includes Jael and the children celebrating the various ways to be a champion. “This beautifully uplifting anthem conveys an important message to children – you don’t need to win first on a sporting field to be a champion. We can all be champions if we strive to do better and be better in everything we do. This song also enables Jael’s powerhouse voice to shine and we think it will be an instant hit with the ABC ME audience, JESC judges and fans,” said Libbie Doherty, Acting Head of ABC Children’s Television. Once again Australians will also be able to vote online for their favourite JESC 2018 performer including Australia! ABC ME is rallying all Australians to get behind JESC 2018 and celebrate not only Jael, but all the young performers competing. Information on how to vote will be available shortly on the ABC ME website. ABC ME, the ABC ME app and ABC iview will broadcast the JESC 2018 on Monday 26th November at 6.00pm. This entry was posted in +, News. Bookmark the permalink.